← The African Union Commission on International Law and the Proposed African Institute of International Law: Where do we go from here? This order to arrest President Bashir is an important milestone for Kenya and Africa at large, one that will prove invaluable in the near future. 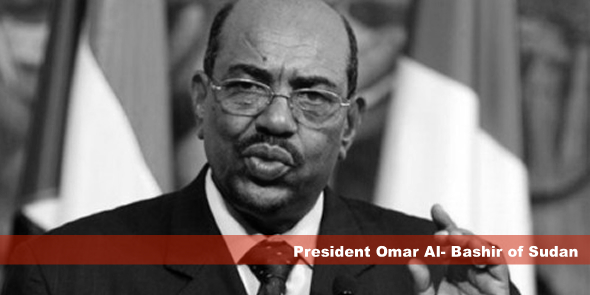 President Bashir is the first sitting head of state to be indicted by the International Criminal Court for alleged war crimes and genocide in Darfur. President Bashir, who was indicted by the ICC in 2008, attended Kenya’s promulgation ceremony for the new constitution in August 2010, sullying the excitement of a new anti-impunity dawn in Kenya. This led to the International Commission of Jurists, Kenya Chapter (ICJ Kenya) filing the resulting suit which led to the issuance of the arrest warrant. Justice Ombija’s decision is today being relied upon in the case of the ICC’s confirmation of charges of four Kenyans accused of perpetrating the post election violence of 2007/2008. The suspects include Deputy Prime Minister Uhuru Kenyatta, immediate former Secretary to Cabinet and Head of Civil Service, Francis Muthaura, Member of Parliament William Ruto and Joshua Sang, a journalist and radio talk show host. Both Uhuru Kenyatta (the immediate former Minister for Finance) and Francis Muthaura were pressured to resign from their state positions after the confirmation of charges and in light of President Bashir’s arrest warrant. This ruling by the Kenyan Court was hugely significant in illustrating Kenya’s commitment and abeyance to the Rome Statute, which Kenya has ratified. However, the principle of separation of powers has always been difficult to distinguish in Kenya. In this instance the executive does not agree with the judiciary’s ruling on President Al Bashir. As such it has declined calls to further suspend Uhuru Kenyatta from his position as Deputy Prime Minister, a State position, albeit accepting his decision to step aside as Minister of Finance. The executive has also not been very forthright in its obligation to cooperate with the ICC if it issues arrest warrants for the four Kenyan suspects. This uncertainty was further confirmed by the transfer of the Justice, National Cohesion and Constitutional Affairs Minister, Mutula Kilonzo, to the Education Ministry. Mutula was a vocal advocate for Kenya’s cooperation with the ICC and for the prohibition of Uhuru Kenyatta and William Ruto both running for President in the forthcoming general elections. He has continuously aired his views both publicly and privately within the Cabinet Sub-Committee on the ICC. The Minister’s lively calls for the suspects to accept their indictments and focus on preparing their defence instead of campaigning for their presidential aspiration did not sit well with the executive, specifically the Party of National Unity wing, which resulted in his “demotion” to the troubled Education Ministry. Notably though, Kenyan law does not expressly bar a person charged with non-economic crimes from running for public office. The 2010 Constitution, Chapter VI on Leadership and Integrity seeks to establish a new standard for holders of public office; however, the Chapter needs to be operationalised through legislation which has not been tabled in parliament. A storm is thus brewing between the executive and the judiciary, the former illustrating that impunity still reigns whilst the latter has chosen to go against the grain and rule in accordance with the law. For the first time the Kenyan judiciary has asserted its authority, independence and respect for the rule of law; however time will tell if this stand will be translated into action. Nonetheless, the rulings shine a light for Africa as they act as a warning that African heads of state are not above the law and that African judiciaries are willing to pursue justice for victims by upholding ICC rulings. The Kenyan rulings give courage to other judiciaries to follow suit and uphold the rule of law to ensure that African leaders who may think of committing international crimes are stopped in their tracks. These rulings also give the ICC the much needed backing it requires in Africa. As Kenya awaits a ruling on the appeal, the hope is that the judiciary will not yield to executive pressure, but remain independent and impartial and uphold the doctrine of the separation of powers, the rule of law and importance of justice for victims not only in Kenya, but also in Darfur. Ivy Kihara is the Operations Manager at InformAction, a non- profit organisation that uses film as a civic education and civic engagement tool. She is also an Advocate of the High Court of Kenya. She has experience in human rights and social justice having worked with the Raoul Wallenberg Institute and the Kenya National Commission on Human Rights. She holds a LLB from Keele University, England, and a LLM in Human Rights and Democratisation in Africa from the University of Pretoria in South Africa.